Oragadam fits both requirements, it is ideal for actual user property buyers as also for real estate investors. For those looking for the ideal project to buy for end-use or as an investment, Hiranandani Parks, Oragadam is not just an integrated township, it is also among the biggest sports destinations in Chennai and its neighboring areas. What makes a real estate hot-spot ‘future perfect’? It is the one feature in a location, which ensures that someone buying property in that location is taking the right decision not just in the present scenario but also looking at the future. Among Chennai’s real estate hot-spots, the ‘jewel in the crown’ is Oragadam. Strategically located on the GST Trunk Road which connects two national highways of Bengaluru and Chennai, Oragadam is the Detroit of Tamil Nadu, South East Asia’s largest auto hub. From being a ‘real estate hot-spot’ to also being ‘future perfect’ has been a journey of evolution for Oragadam. An industrial area on the outskirts of Chennai city, apart from being the biggest automobile hub in Southeast Asia, it also is home to MNCs as also IT and ITeS companies. With over 22 fortune 500 companies, the Sriperumbudur–Oragadam belt has seen tremendous industrial growth. This economic growth story is driven by the good connectivity which Oragadam enjoys, via state highways and railways. Real estate is about ‘Location, Location and Location’, when we look at a future-perfect real estate hot-spot, whether, from an investor’s or an end user's perspective, two prominent aspects are (i) capital appreciation and (ii) rental income. And for those looking to buy their own house, a ‘value for money’ destination makes the ideal location to buy an under construction home if it offers the same at a price point which has scope for appreciation. For both segments of real estate buyers, looking to buy in Chennai’s vicinity, Oragadam is the location which stands out as a clear winner. Chennai’s real estate market is a stable one, one does not see sudden dips and sharp spikes in prices. Buying property here is not about speculative purchases, rather it is a rational process – real estate investments happen after due evaluation and understanding of different aspects and available options. Oragadam fits both requirements, it is ideal for actual user property buyers as also for real estate investors. For those looking for the ideal project to buy for end-use or as an investment, Hiranandani Parks, Oragadam is not just an integrated township, it is also among the biggest sports destinations in Chennai and its neighboring areas. Homes are not just about square feet of constructed space, but about the community which is made up of residents and the activities that bring them together. At Hiranandani Parks, ‘community living’ is when a resident does not just live in an ‘apartment’, a ‘villa’ or just a ‘living space’, but shares – and enjoys – the positives of the location and its social infrastructure with neighbors who are fellow members of the ‘community’ created in that location. It is this aspect which stands out when a home seeker evaluates Hiranandani Parks as the place his family will call ‘home’. The project, by Hiranandani Communities, offers a plethora of cultural, sports and fitness activities which include both, indoor and outdoor activities. Exclusive to the project are sports activities including polo, a 9 hole golf course, an Olympic sized swimming pool, equestrian events, a horses' stable as also a large cricket ground – which makes Hiranandani Parks, Oragadam the perfect location for buying property: ‘future perfect’. As new projects offer Chennai’s home seekers newer options, there are few projects which give such a wide array of choices within the same project – from apartments to villa plots, apartments in different sizes with low rise as also high rise options. Hiranandani Parks, Oragadam offers a very distinct ‘community living’ opportunity to home seekers, on par with integrated townships created by Brand Hiranandani in Powai and Thane. In both locations, Powai and Thane, the first thing that came through was that the final product has to be the lifestyle offered to homeowners, not just concrete structures, something which has been an integral part of the planning process at Hiranandani Parks. Created as a vibrant, self-sustaining, master-planned, integrated township spanning over 400 acres, Hiranandani Parks is about bringing comfort in style to premium homes. The architecture of the project has been created in a manner that there is a fusion of elegance with modern construction. 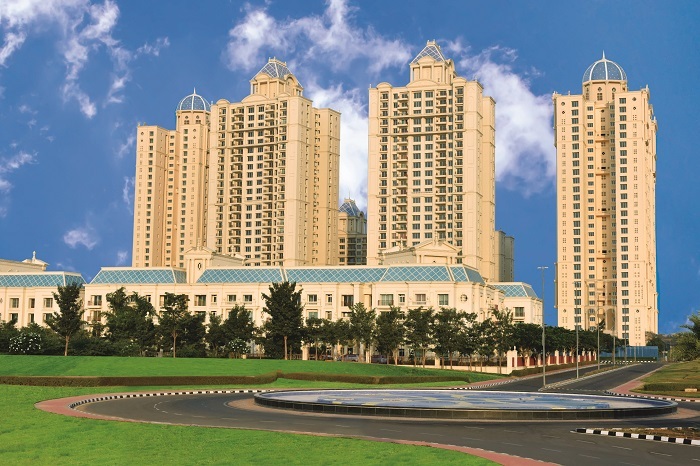 Built among green spaces, Hiranandani Parks is a breath of fresh air for home seekers. It offers statuesque towers set amidst neo-classical architecture as also Villa Plots. What makes Oragadam an ideal location for Brand Hiranandani to create what is arguably, Chennai’s most elegant integrated township? “It is the sheer positive feeling that one gets at the project location,” says Dr. Niranjan Hiranandani, CMD, Hiranandani Communities. “Located on the Chennai – Sriperumbudur – Bengaluru corridor, it is among South India’s biggest commercial districts, is renowned as an industrial hub and is a preferred corporate destination. Hiranandani Parks, Oragadam offers home buyers and real estate investors an opportunity of being a part of the next big real estate success story in Chennai’s peripheral areas – one that is ‘future perfect’. Oragadam enjoys great connectivity, and the proposed infrastructural development paves way for price appreciation in the future,” added Dr. Niranjan Hiranandani. “Given its track record so far as also the potential it offers, when it comes to making a smart decision in terms of real estate, those who spot the potential of Oragadam in present-day will be making the right choice,” he concluded. Dr. Niranjan Hiranandani is Founder & MD, Hiranandani Group. His new venture is Hiranandani Communities. He is President (Nation), National Real Estate Development Council (NAREDCO), which works under the aegis of Ministry of Housing & Urban Poverty Alleviation, Government of India.